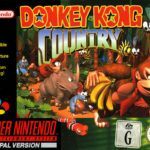 Donkey Kong (AKA ドンキーコング Donkī Kongu) is known as one of the most influential video games in history. Best known as an arcade game that took the world by storm in the early 1980s, Donkey Kong also has a home version for the NES. While it lacked some elements present in the arcade version, the gameplay (and effectively the fun factor) stays very much intact. This game is the prequel to Donkey Kong Jr. Most game nuts would probably know this by now, but the script of the classic game works like this. 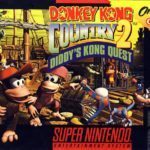 You’ll be controlling Mario (also known by names such as Jumpman) as you try to rescue Lady from the clutches of the giant ape named Donkey Kong. To defeat him, you needed to reach the top of the stage by running on girders and climbing ladders, all while dodging projectiles such as barrels. Of course, this is not as easy as it sounds, as the levels get progressively harder. Also, controlling Mario is not as easy as it looks. Fundamentally speaking, the arcade and NES versions of Donkey Kong are not all that different from each other. The graphics, sound, and general gameplay are all similar, with only a few exceptions. Only 3 of the 4 stages found in the arcade version are found on the NES, and it also cuts some of the scenes found in the arcade version. Still, this game made a killing in game stores when it was released, and remains critically acclaimed up to this day. While both the graphics and gameplay of the original game is considered ancient in today’s standards, its place in the video game pantheon is very much secure. 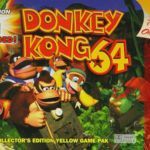 Whether you’re looking for a fun game to play during dull days and/or you’re a competitive video game junkie looking to break world records (or at least be the best among your pals), Donkey Kong is still the game to play. 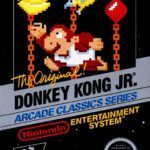 Donkey Kong has been ported to NES (this version), Arcade (original), Atari 2600, Atari 7800, ColecoVision, Game Boy, Apple II, Commodore 64, ZX Spectrum, MSX.